Our fantastic Music Room incorporates a large teaching and orchestral space as well as two smaller teaching rooms. 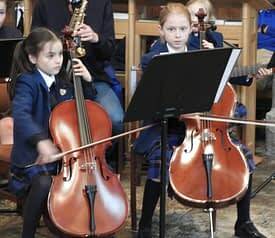 We hold Informal Concerts here – events that give all children, whatever their level of playing, an opportunity to perform. 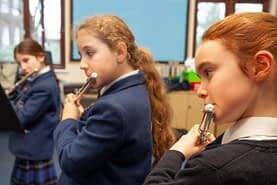 We offer lessons on a wide variety of instruments and 80 per cent of children in Years 1 to 6 have instrumental music lessons. Everyone sings! We have string, brass, wind, percussion and recorder ensembles, a prize-winning jazz band and an orchestra of over 25 musicians. Our music staff are enthusiastic and go out of their way to nurture the talents of the children. 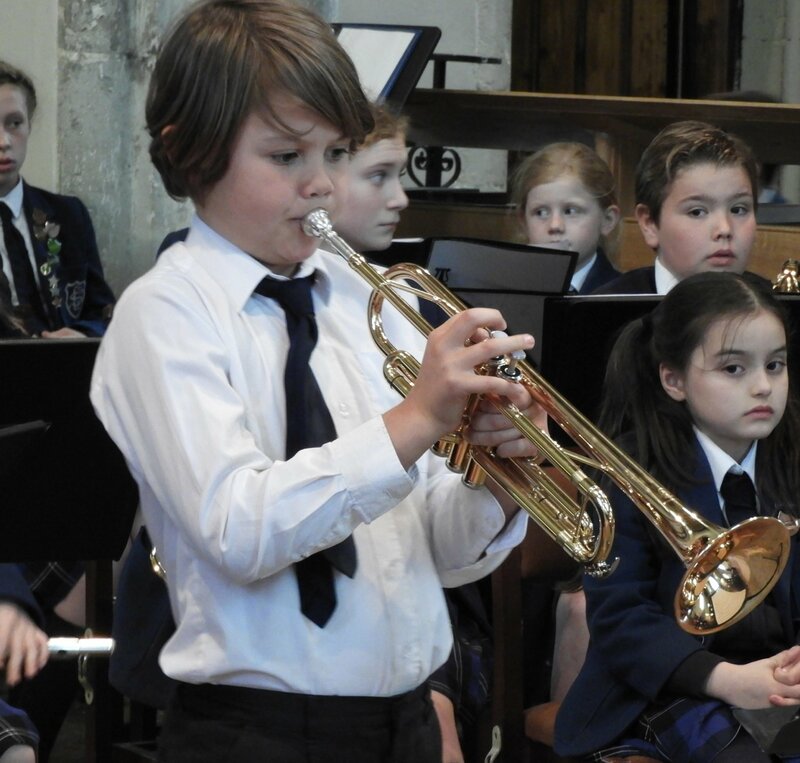 We provide opportunities for musicians to perform and our informal concerts are regular features of the term’s programme. All children in the school are encouraged to sing and we consider that everyone – including the staff – is part of the school choir! We have a tradition of performing high-quality musicals. For the past 10 years we have staged some brilliant annual performances and since 2013 we have produced two musicals a year for middle school (end of the Spring term) and for upper school (end of the Summer term). We are increasingly asked to provide musicians for local events such as the Service of Remembrance at Wye Church, music for the residents at a local Care Home and a Good Friday Procession through the village. At Christmas our school choir performed in Canterbury Cathedral at the Princess of Wales’s Regiment Carol Service. Come and visit our vibrant music department and see and hear for yourself!